Our keyhole Tracks (pinless tracks) are made from 12 gauge G-90 galvanized steel for a lifetime of use. 2″ wide with 3/4″ legs. Screw into any jump standard. Use 12 of the #10 or #12 wood screws (screws sold separately). Sold in two lengths: 5′ (59.5”) and 4′ (47.5”). 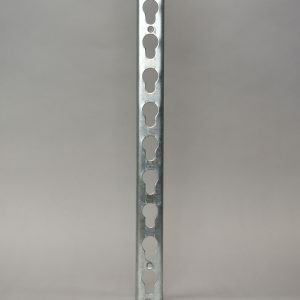 Our keyhole Tracks (channels) are made from 12 gauge G-90 galvanized steel for a lifetime of use. They are 2″ wide with 3/4″ legs and screw into any jump standard. In addition we carry the narrower Burlingham Sports keyhole track. Use 12 of the #10 or #12 wood screws (screws sold separately). 5′ (59.5”) (SKU: 2900): Fits 6’ standards. Sold individually. 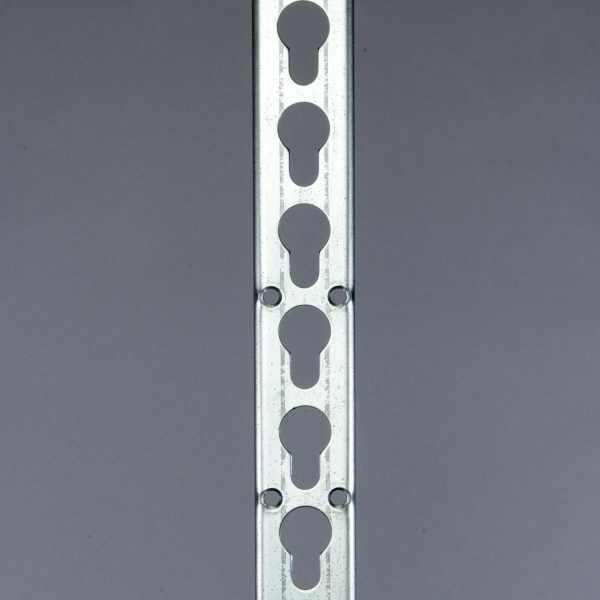 4′ (47.5”) (SKU: 2948): Fits 5’ standards. Sold individually.